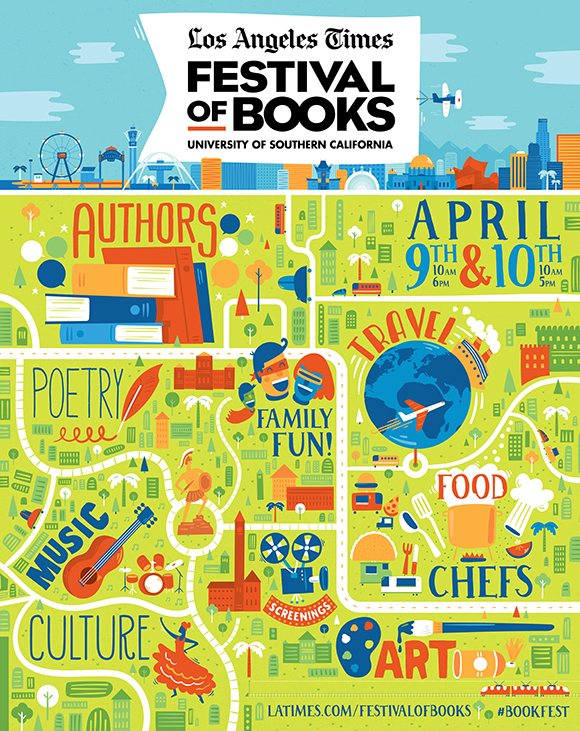 This poster was created for the LA Times Festival of Books. It’s a crazy cool event put on by the crazy cool people over at the LA Times. You can read more about the event, see the lineup of authors/speakers, and more here. With notables like Eric Carle & Bill Peet among the past illustrators to tackle this poster, it was quite the honor to be asked to participate. You can take a look at all the past posters here.